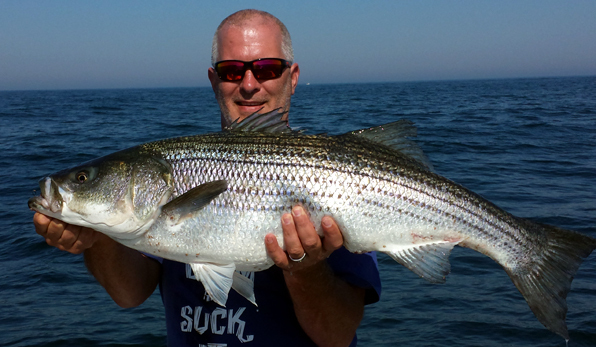 Check out the our pictures and remember that June is historically good for Bass fishing. We are looking forward to an excellent 2017 season. 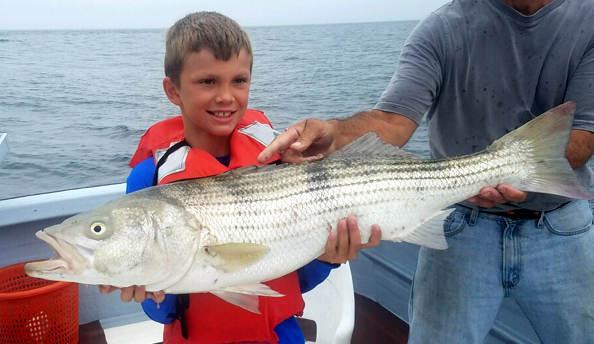 The fishing Season has started and we are looking forward to getting out on the ocean. 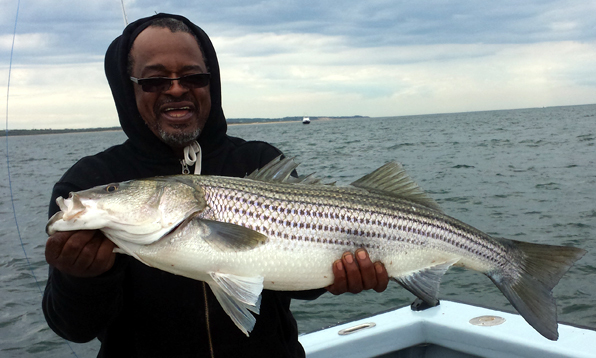 With the cold winter, there is historically a very good fishing season to follow and we are all for that. 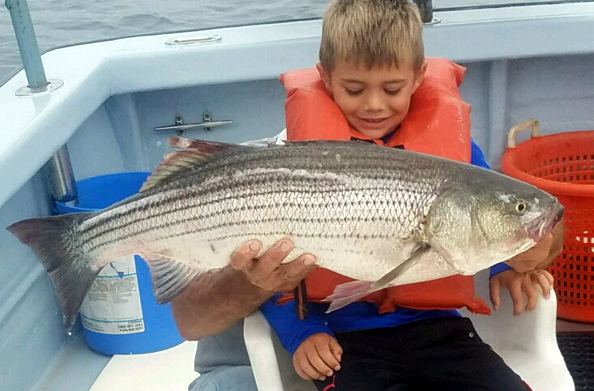 Its June and fishing has heated up. 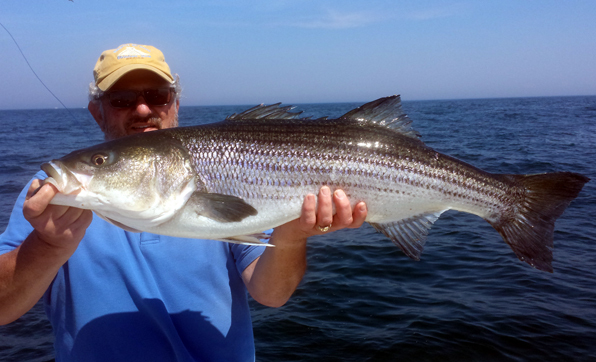 There are some big fish around now, as you can see below. June 13, 2017: Beautiful Bass South East side of Block. 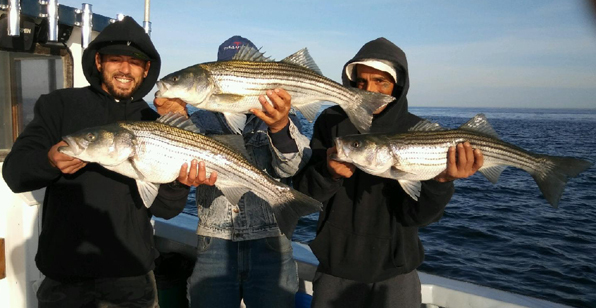 June 12, 2017: South Side Block Island Bass. June 4, 2017: Nice Bass taken at the Block. 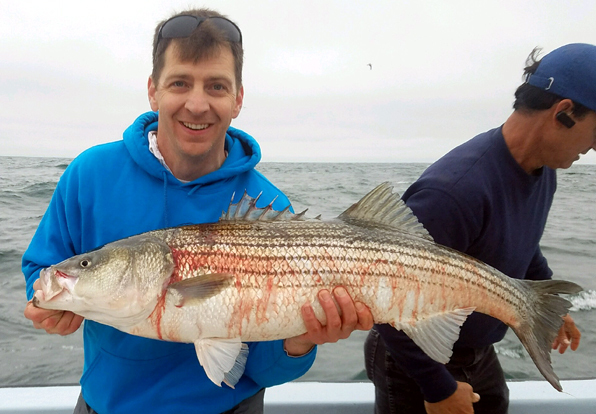 May 30, 2017: Nice Block Island Bass. 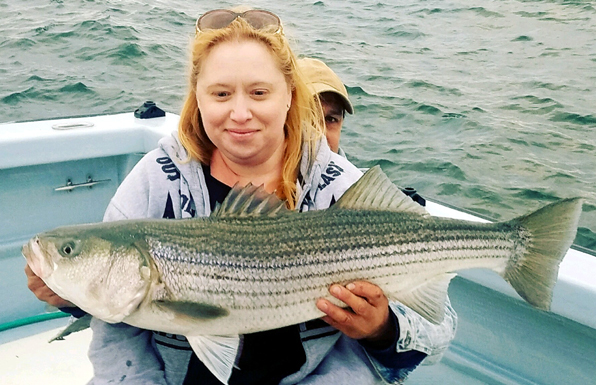 May 28, 2017: Block Island Bass taken on Flutter Jig. 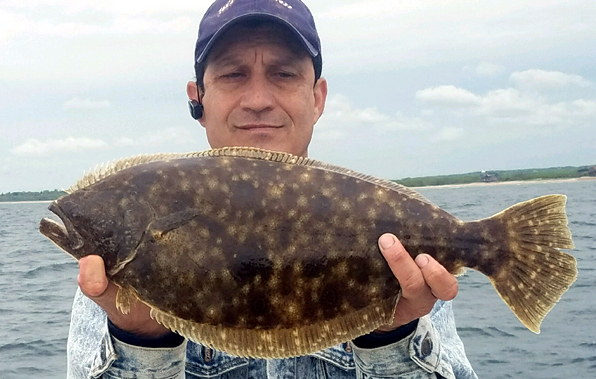 May 27, 2017: Big Flounder along South shore. May 21, 2017: Three keepers at once on our first trip of the season. Copyright 2004-2011 Adventure Charters. All rights reserved.